Is there some register call to wait for Vsync ? 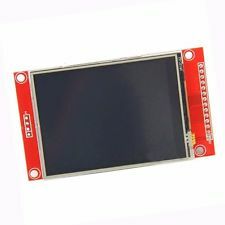 since I am interested in using a ILI9341-based TFT with 3-wire IF, how is the state of support for 3-wire ? At least TFT and touch is working for now. But it does not feel okay. So I ask the supplier. Please share your wiring with us, as the poster before mentioned, it isn't quite clear what was meant. I have a ER-TFTM035-6 and the touch also just doesn't seem to work. It only works when I disconnect SLC, SDO and SDI from the TFT completely. But then I have no tft, only touch. Reset and LED are tied high. MISO and MOSI are shared with T_DO and T_DI. All of the TFT functions work great (displays the JPEGs, etc.) but the touch does not work, i.e using demo and a stylus, nothing appears on the screen. I’ve thrown in a few “printf’s” to see if the touch is detected and it appears that it is not. I would like to thank @loboris for this library. Its easy to use and with it i build a toy for my autistic 3 years old nephew. Recently i bought m5stack and since my nephew loves colors, numbers and read words he already knows i decided to use it. - button 3 for random words from preconfigured in app, for now i am using only Polish words, even if he knows words in other languages too. Its very simple educational toy and he is very happy with it, thanks again.